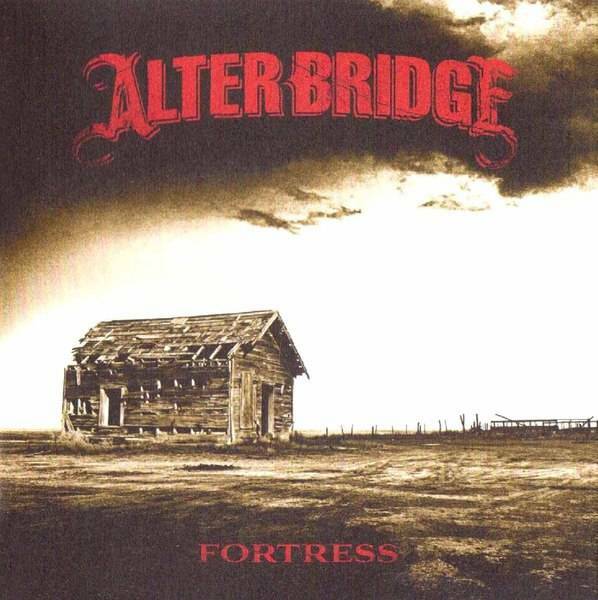 Fortress is the fourth studio album by the American rock band Alter Bridge, released by Roadrunner Records on September 25, 2013.Michael Baskette, who produced Alter Bridge's previous two albums, Blackbird (2007) and AB III (2010), returned as the producer. It was released by Roadrunner Records worldwide except in the United States, where it was self-released on October 8, 2013, through EMI. The lead single, "Addicted to Pain", was released on August 12, 2013. The album was widely acclaimed, with several critics calling it the band's best album to date and giving praise to each of the band members' musical skills displayed on the record.Fortress was recorded between April 26 and July 2, 2013, at Studio Barbarosa in Orlando, Florida. 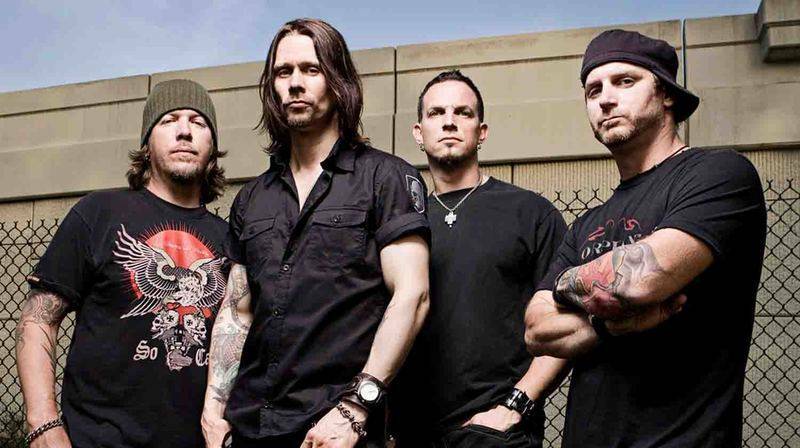 The album was written over the three previous years while the band toured, as well as during Alter Bridge's hiatus due to singer Myles Kennedy touring with Slash, guitarist Mark Tremonti releasing his debut solo album All I Was, and drummer Scott Phillips recording with his band Projected. 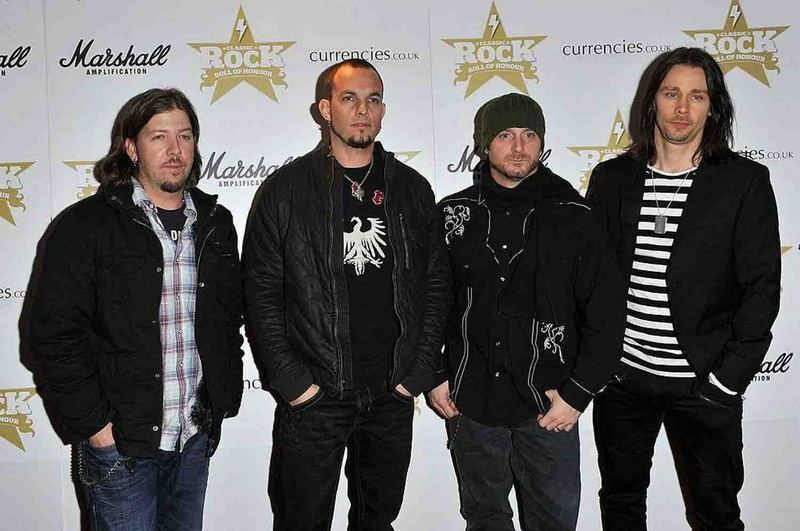 Later in the month, Tremonti announced the band had approved the cover art and had mastered the new album.In July, in an interview with MusicRadar.com Tremonti revealed that he would sing lead vocals on one track called "The Waters Rise",which appears on the album as "Waters Rising". 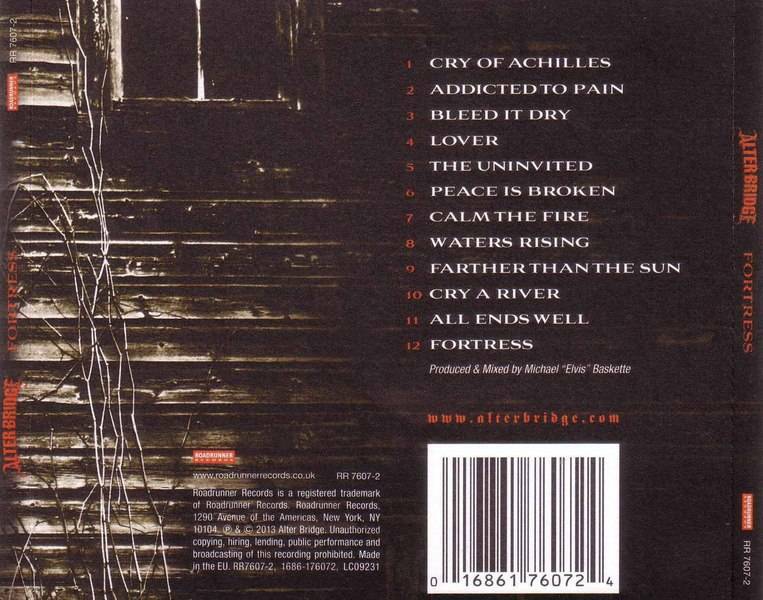 The official track listing and cover art for Fortress was revealed on July 31, 2013 along with the track listing, consisting of twelve songs. The artwork was designed by Dan Tremonti.On August 4, the cover art for the lead single "Addicted to Pain" was revealed, and a day later the band confirmed that the lead single "Addicted to Pain" would be released on August 12, in Europe, and on August 20, in the US.The single was made available for streaming a few days before release.On September 5, the official video for "Addicted to Pain" was released.The official video was shot by award-winning director Dan Catullo.On September 23, the band streamed the album in its entirety for a limited time on the Metal Hammer website as a UK exclusive.During an interview with Bravewords on October 24, Myles Kennedy stated that the Best Buy B-side track, "Outright", had been incorrectly titled. During production, the working title of the song was "Outright Two" because it featured parts of an unreleased song previously recorded by the band called "Outright" during the Blackbird recording sessions. When it went into the mastering stage, the title of the new song was never changed and was incorrectly listed on the album as "Outright". The song is actually titled "Never Say Die" and was listed with the correct title on later printings. 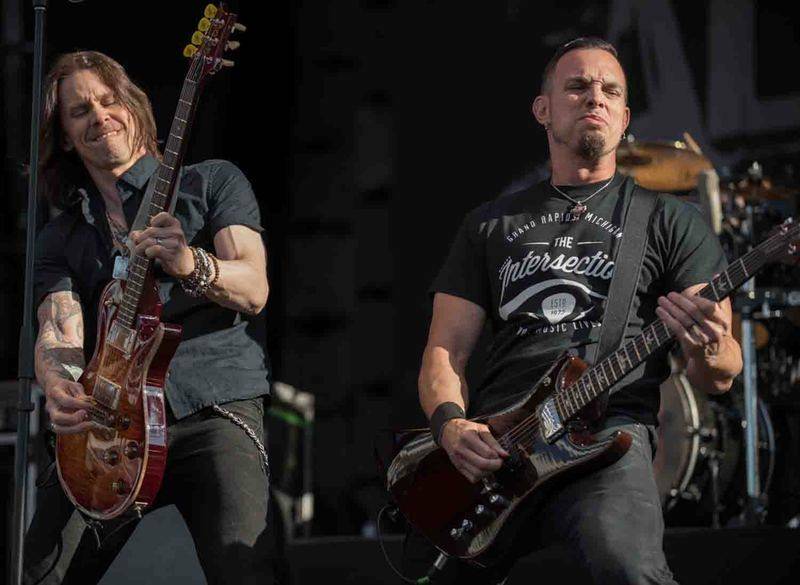 Myles Kennedy – lead vocals, rhythm and lead guitar, backing vocals on "Waters Rising"
Mark Tremonti – lead and rhythm guitar, backing vocals, lead vocals on "Waters Rising"